Rebecca R. Ruiz and Tariq Panja of The New York Times won first place in the Associated Press Sports Editors 2017 contest in breaking news for the Over 175,000 circulation category. Ruiz and Panja will be presented a first-place plaque at the 2018 APSE Summer Conference Banquet at the Nashville Marriott at Vanderbilt University on June 20. Ruiz and Panja edged runner-up David Barron and Jake Kaplan from The Houston Chronicle. Martin Rogers from USA Today placed third. 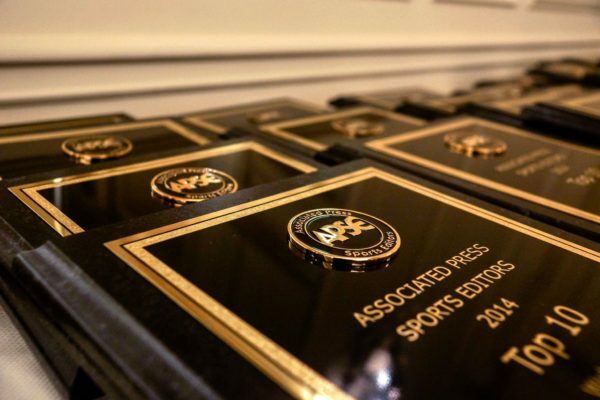 Sports editors in the Over 175,000 category submitted 58 breaking news entries. The contest is open to APSE members. Click here to join. The breaking news category judges articles of a sports news development (trades, hirings, firings, franchise shifts, etc.) that occurred in the most recent news cycle. Organizations were allowed to 3 entries. The top 10 is listed below with links to writers’ Twitter pages, APSE member websites and winning entries.